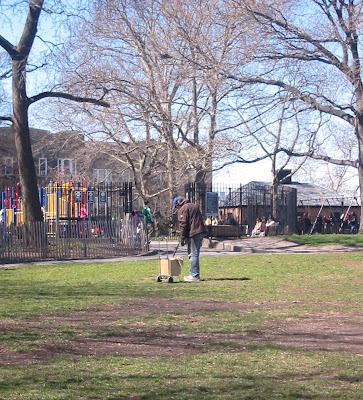 I've seen this man all over the park using his metal detector for hours. When I finally got a chance to talk to him, he said that he does it for the fresh air, beautiful view, and the occasional interesting object that shows up. Usually, he said, it's bottle caps and small change.